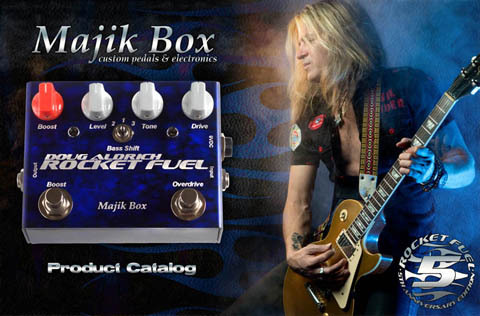 Majik Box USA - Custom Pedals and Elecctronics. Tools for Tone. With the 2018 NAMM show upon us, we’ll be out of the office for most of the week, but we will announce some goodies coming up soon. 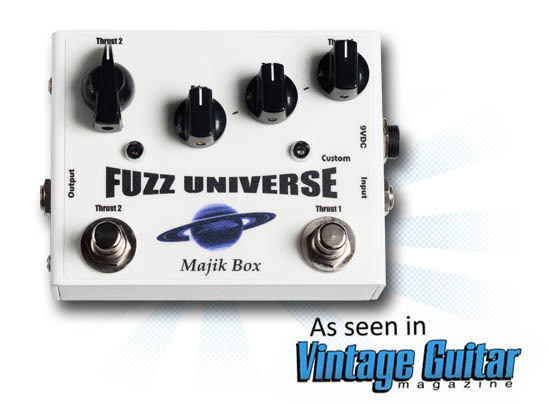 We also recently produced a one-off Fuzz Universe for an artist that looked so wicked, we’ll be doing a limited run soon - it features the standard Fuzz Universe guts and Black/Green label in an all white chassis. Well it's been a little while since our last update, but we've been busy with all kinds of activity going on. First of all, thank you to all those that attended our NAMM booth in January. We had a real blast. Autograph signings with Doug Aldrich, Marty Friedman, Mike Spreitzer and short visits by Paul Gilbert and Ty Tabor of King's X highlighted the proceedings. We also showed an early prototype of our new SST speaker simulator pedal, capably demoed by Larry Mitchell, Rob Balducci and Stefano Xotta. More on the SST in coming months - but all that heard the pedal at our booth can attest how amazing that little box sounds. Look out for videos soon. About the SST, we're still working on the pedal, making sure that it's as bodacious as possible at release. We're hoping to have the pedal ready to ship sometime in May. On the dealer front, we'd like to welcome aboard Dan's Guitar on Oahu - quite simply the best guitar store on the islands. Please check out Dan's Guitar if you are ever lucky enough to be in Hawaii. Pre-order time is over for the Body Blow Jake E Lee Mod. Shipping starts this week! We'd like to thank Jake and his tech Scott Bell for helping us with filming of the video. Be sure to catch Jake and Red Dragon Cartel on tour in November with former Badlands cohort Greg Chaisson handling the bass duties this time out. They're going to rock! Well, it's almost here! The Body Blow Jake E Lee mod. 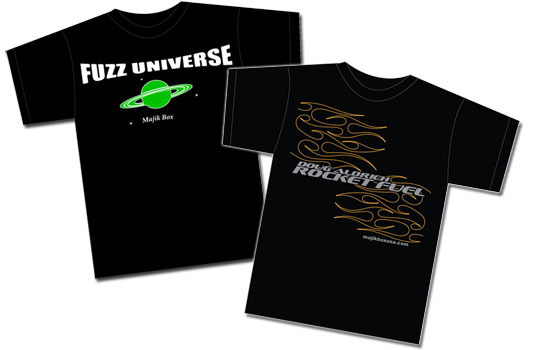 We're accepting pre-orders starting today, and will be shipping beginning September 15. All pre-orders are guaranteed to ship by that date. But the best part? Jake agreed to autograph a quantity of pre-ordered pedals! Those of you who have been patiently waiting - now is the time! We took a little road trip to visit Jake in Vegas recently, and had a great time. Hanging out with Jake, his tech Scott Bell at the beautiful Tone Factory recording studio was truly a blast! While there, we produced a video with Jake discussing the development process demonstrating the pedal with classic Badlands and Red Dragon Cartel riffs throughout. Watch out for this video soon.